Garden Escrow, Inc., is a licensed and professionally staffed full escrow service company, strictly regulated by the California Department of Corporations. As a neutral third party, we give our customers added assurance that they are receiving the highest level of escrow services. We provide real estate settlement escrow services for Realtors, Brokers, Lenders and the general public for the buying, selling or mortgaging of real estate throughout Southern California. If you are looking for an escrow expert to process an Escrow, give you peace of mind and confidence, please contact Garden Escrow, Inc. Always ethical and legal, we endeavor to anticipate any issues that may arise prior to becoming a problem. 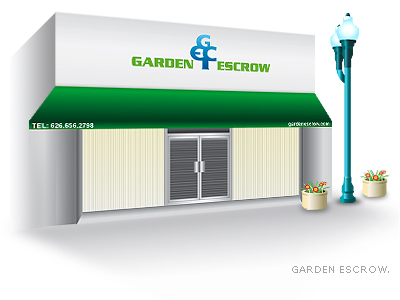 Garden Escrow, Inc., is dedicated to professionalism and customer satisfaction. Beginning on October 1, 2007, we have donated a certain percentage of the profits from our real estate buy/sell and refinance business to the American Cancer Society. They have full authority to administrate the use of such donations, and the donations are witnessed and verified by both our appointed lawyer and certified public accountant. In addition to the financial donations, we also assist in their volunteer registration, the promotion of their missions, and the information disseminated to the public. Your joining this voluntary and promotional work is always welcome.